President Donald Trump’s own words link the firing of James Comey as FBI director to the Bureau’s Russia probe. 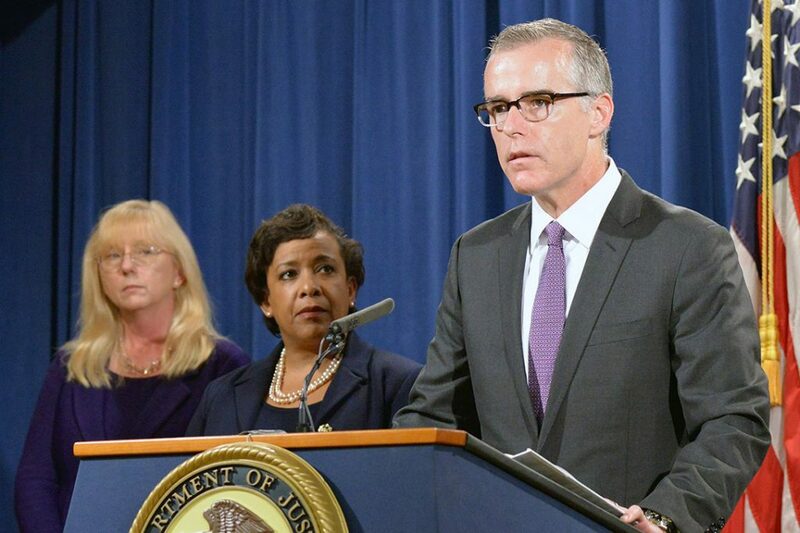 That move, however, might not have been well thought out because Andrew McCabe, Comey’s deputy and temporary replacement, could have unique firsthand knowledge of potential ties between Trump and organized crime in the former Soviet Union. This creates an intriguing if complex and nuanced situation that could influence Trump as he decides whether to replace McCabe as interim director. How this important but overlooked factor — discussed in no other reporting of the drama around the Comey firing, the search for an interim FBI director, McCabe, and Trump — will play out is uncertain. But the importance of McCabe’s prior history is part of the hidden backstory between the FBI and Trump. In an exclusive WhoWhatWhy investigation published in March, we told the story of Felix Sater, the Russian-born financial criminal whose real estate development firm Bayrock partnered with Trump on numerous troubled projects — while Sater was working as an FBI informant. Further, pending civil litigation alleges that Bayrock, whose offices were just a floor beneath Trump’s in Trump Tower, served as a massive money laundering operation for funds from the former Soviet Union. In the mid-1990s, Sater had been one of the chiefs of State Street, a mobbed-up financial brokerage that racked up tens of millions of dollars in profits in a few short years and fleeced thousands. Sater and 21 others were swept up in the high-profile FBI operation that targeted the brokerage, which included associates of both Italian crime families and the Russian mob — which includes Sater. Sater then “flipped” and became an informant, after pleading guilty to a single count of racketeering. He was working at Bayrock a few short years later. It turns out that the paths of Andrew McCabe and Felix Sater intersect. “Eurasian organized crime” is the FBI designation for crime that originates from the former Soviet Union, including Russia and Ukraine. 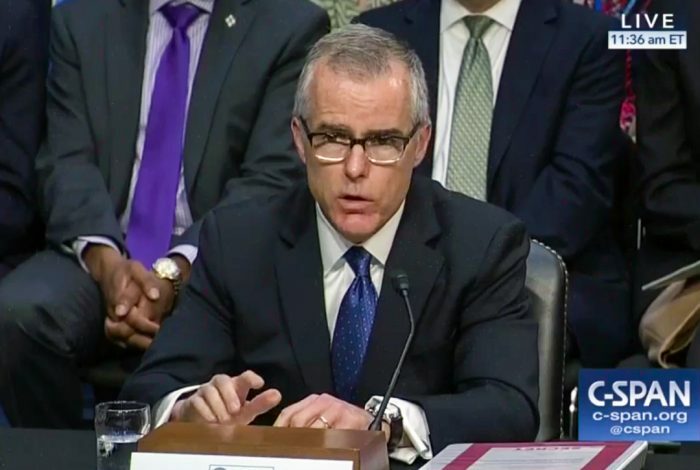 Whether McCabe worked specifically on the State Street case is unclear, but he certainly was in the organized crime section while that high-profile, multi-year investigation was ongoing. State Street closed as the FBI got close in 1996, Sater signed his cooperation agreement in 1998, the State Street indictments were unsealed in 2000 — and Sater was working at Bayrock in Trump Tower by early 2002. Sater and Bayrock went on to partner on multiple deals with Trump, including the Trump SoHo. Most of the Bayrock projects failed very badly, leaving a string of lawsuits across multiple states. While at Bayrock, Sater regularly traveled to Europe, including Poland, Russia, and Ukraine, with numerous trips to Crimea, ostensibly in search of possible development projects that could bear the Trump name — projects that never seemed to reach the drawing board stage. To reiterate, Sater was working as an FBI informant throughout the years he was at Bayrock (until early 2008). Thus McCabe, as supervisory special agent of the Eurasian organized crime unit in New York from 2003 to 2006, would seem likely to have known very well what Sater was up to and intelligence he had gathered. In addition, he would have been aware of Sater’s relationship with Trump and possibly Trump’s financial relationships in the former Soviet Union at a time when he was struggling to find funding in the US after his numerous bankruptcies. As must be stressed, Trump’s risk regarding Sater is enormous in multiple ways. While at Bayrock — and serving as an FBI informant — Sater was entering contracts with lenders and clients, and because of his past as a financial criminal, this was a crime. Indeed, Sater was forced to pull out of Bayrock after a New York Times article in late 2007 outed him as a felon, making his position at Bayrock untenable. If it could be proven that Trump knew that Sater was a financial criminal and did business with him anyway, it would expose Trump to massive financial liability. This is because parties to bank loans and investment contracts must confirm that no owner or manager has been convicted of fraud, and if that confirmation is false, anyone who knew of the fraud is potentially liable. If Trump or anyone around him — such as other Trump Organization executives, accountants, and lawyers — had knowledge of Sater’s criminal past and yet entered into contracts with Sater and Bayrock, Trump and his company would then be liable for hundreds of millions of dollars and possible jail time. The same would be true even if someone learned about Sater’s criminal status after signing the contract but continued with it. Yet what if that criminal was considered protected by his informant status with the FBI? Revealing the criminality on the part of anyone who entered into contracts with Sater despite being aware of his criminal history would also reveal the role of the FBI and Department of Justice and what they knew about Sater’s alleged shady deals and activities while using him as an informant. McCabe, as a former supervisory special agent of the Eurasian Organized Crime Task Force in New York, would be especially well informed of the players and issues regarding the former Soviet Union. These insights, gained over a 20-year career in New York, would provide him with a unique understanding while overseeing an investigation into possible collusion between the Trump campaign and Russia as well as Trump business connections to those in the former Soviet Union. New York is not only the unofficial headquarters of the Russian-speaking community in the US, it is also the center of much financial and other crime tied to the former Soviet Union. McCabe would likely also have knowledge of potentially problematic issues, such as possible crimes committed by Sater at Bayrock while working as an informant (from which Trump could have profited), questions regarding Trump’s previous relationship with the Bureau, as well as the current and former FBI agents who either are or may have been connected to Trump or his campaign. This is something the president could be aware of: members of his private security detail during the campaign and after included former FBI agents, one of which — Gary Uher — not only worked in the organized crime section at the same time as McCabe, but investigated and then worked with Sater on the State Street case, as reported exclusively by WhoWhatWhy. This information, completely overlooked by the rest of the media, adds another layer of complexity and intrigue to the unfolding drama of the Russia investigation that will overshadow everything Trump does until it is resolved. It also underscores how much we do not know. Related front page panorama photo credit: Adapted by WhoWhatWhy from Federal Plaza (Eden, Janine and Jim / Flickr – CC BY 2.0) and Andrew McCabe (FBI).